Do you know when your MOT renewal date is? You should be having an MOT test on your vehicle every year, especially if it’s 3 years or older. Why is it so important? Keep on reading. Our first reason why it’s important to know your vehicle’s MOT renewal date is so that you can ensure that you and others around you are safe. An MOT test checks whether your vehicle is roadworthy; it looks at various aspects such as lights, steering, braking, wheels, seatbelts and more to ensure that they are all fully functioning and won’t create a risk of accident. An MOT test also checks that your exhaust emissions are not excessive, keeping the environment safe. Sure, an MOT test comes with a cost but it’s nowhere near the amount you might have to spend if you didn’t get one. MOT prices vary but they will always be a maximum of £54.85. An MOT test will identify if anything in your vehicle needs looking at further so that a problem doesn’t occur; without this, problems could occur and the repairs could cost you a lot. If you had issues with parts of your vehicle, such as your lights, and continued to drive, you could face fines/penalty points from the police. In addition to this, if you were in accident due to a problem with your vehicle that you weren’t aware of as you didn’t get an MOT, your insurance company would not pay you compensation. If the reasons above weren’t enough to tell you why checking your MOT renewal date is important, this reason might make it more clear. 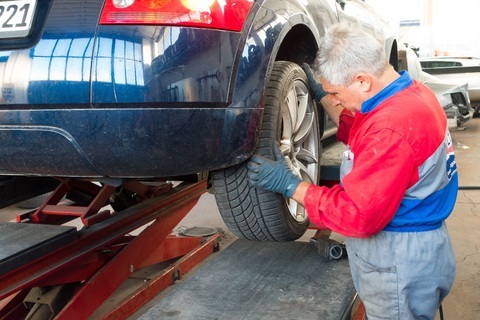 Your vehicle’s MOT is a legal requirement! Whether you have a car, a van or a motorcycle, you are required to get an MOT test on an annual basis. If you drive without an up to date MOT, you could face a fine of up to £1,000. Could you really justify that money when you could have spent less than £55 getting the test? If you’d like to find out more about MOT tests, or your MOT renewal date is coming up, get in touch with German Specialists. Fill out our contact form or call us on 0161 476 4422. ← Should You Buy a New or Used Car?